The preservation of architecture is damn important in our COLLECTIVE eye. Education about architecture? Well, that's obviously the first damn-important step in the process. The Institute of Classical Architecture & Art (or ICAA) is "the leading national nonprofit organization dedicated to advancing the practice and appreciation of the classical tradition in architecture and the allied arts", and we happen to think they're doing a fine job of it. Our local chapter promotes the mission of the national organization with four stellar program areas: education, publications, awards, and advocacy. We love us a crystal cool modern, but we're never one to decline a date with a Tudor, so it goes without saying that we deem the cause of the ICAA a highly worthy one. 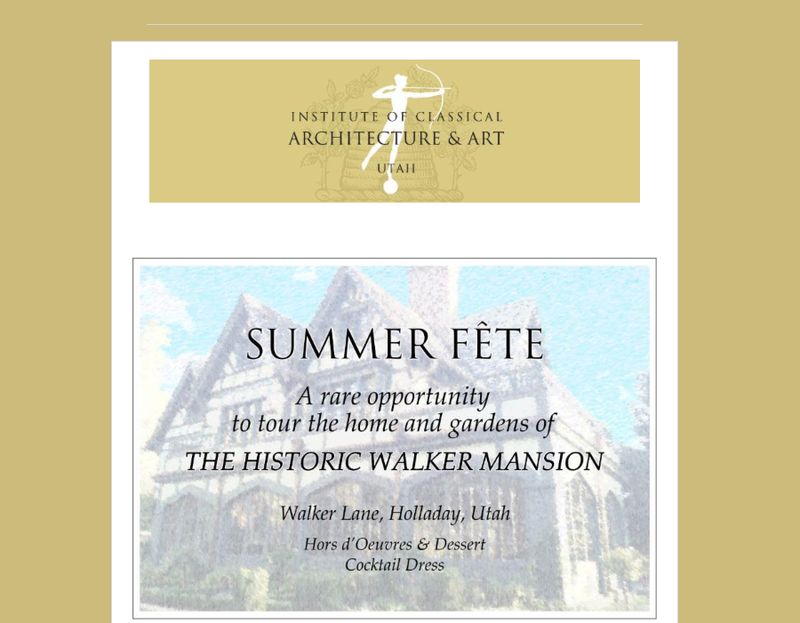 In the interest of piquing interest in such a deserving cause, the Utah chapter of the ICAA will be hosting their flagship summer party for members and their guests at the Original Walker Lane Mansion this Saturday, June 27th. The staggeringly-stunning historic haunt--once home to the Walker Brothers (see: Walker Bank, Walker Center--boys were a big deal)--has been beautifully preserved and painstakingly renovated. The European Tudor, built in 1904, is a work of precision and care, and sits squarely on over three acres of stately gardens and pools. Intrigued? Rightfully so. 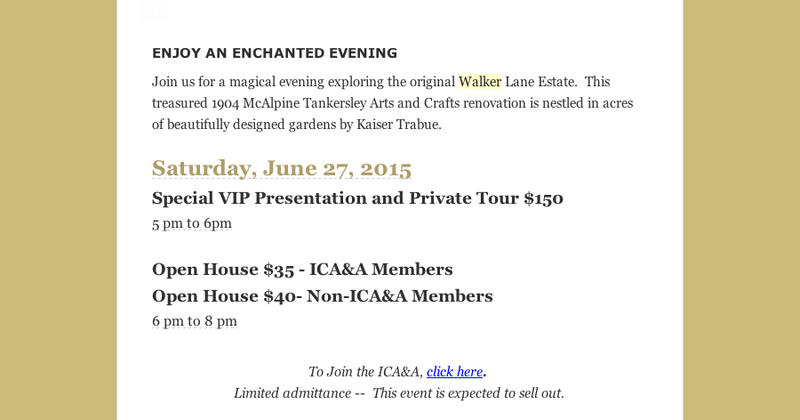 Lucky you, the doors will be open for the summer soiree, and the designing architect (Greg Tankersley of McAlpine Tankersley), interior designer (Rocelle Warner), and landscape architect (Mike Kaiser of Kaiser Trabue) will be conducting a VIP tour. Also promised: hors d'oeuvres, music, and a magical evening walking the Walker halls. Let the educating and appreciating commence.